Ask Brianna: How to Get a First Job With No Experience? Welcome to “Ask Brianna,” a weekly Q&A column that helps 20-somethings prepare for a job search, handle money and manage student loans. Every Wednesday, a new “Ask Brianna” will address these topics with tips I’ve picked up while writing about this stuff. Have a question? 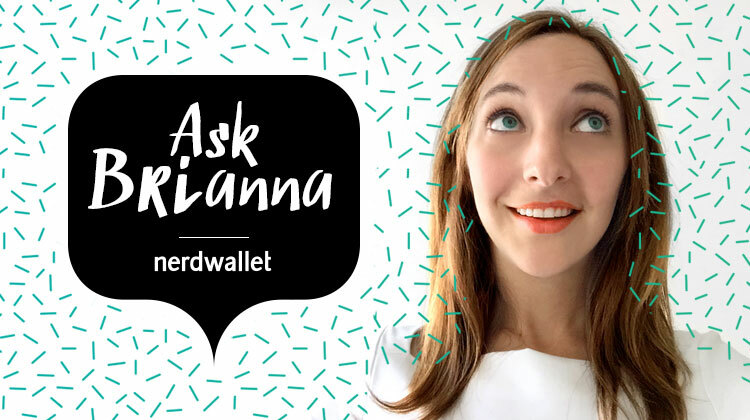 Send it to askbrianna@nerdwallet.com and I’ll send back my best answer. Your question may appear in a future column. This week’s question came from “Ask Brianna” reader Unemployed Graduate, who writes, “What baffles me about post-grad life? Requiring experience without allowing a recent grad to gain experience.” Unemployed Graduate says she wants to get a job in human resources, but after 12 interviews and no job offers, she’s been told she’s not qualified enough. A second reader, a recent accounting grad, wrote in asking a similar question. How do you get your first job after graduation if the entry-level jobs you apply for all require experience? As an entry-level job seeker, experience is something you have to pursue on your own. But it doesn’t need to come in the form of a neatly packaged job or internship that perfectly applies to your chosen field. Whether you’re in college, in grad school or already out in the real world, these strategies will give you the advantage you need to stand out from other entry-level applicants. Develop skills beyond the workplace. I studied English in college, so I got pretty used to people telling me that my job prospects after graduation were slim. That’s not true, of course; good writing and analytical skills are useful in nearly every industry. But English isn’t the kind of major, like nursing or engineering, that lays out a clear career path ahead of you. So when I was in college, I thought a lot about the type of career I might want when I graduated. I realized I cared about social justice, so I applied for internships at legal advocacy organizations. I also volunteered as an SAT tutor and helped a local nonprofit register voters. I made sure that every semester I could put something on my resume that showed I was exploring industries I might be interested in, even if they weren’t directly related to my major. And that helped me get my first job as a paralegal. If you’ve graduated with no internships under your belt, consider volunteering, or even interning, while you job search. You might not end up working full-time where you intern or volunteer, but you’ll develop skills and gain experience you can reference when you apply for entry-level jobs. Depending on the internship or volunteer position, you could work on teams, learn how to write professionally and practice using software that may be useful in your first job. Highlight experience outside your field. Don’t discount your part-time gigs as a waiter or camp counselor during college or grad school. On your resume and in your cover letter, highlight the transferable skills you built up in those jobs. Discuss real-world challenges you overcame there during your entry-level interviews. Say you’re aiming for a job in human resources, and in college you worked part-time as a hostess at a restaurant. The customer service, time management and problem-solving skills you practiced are all applicable to your dream job. Hammer that home in the resume entry for the position. It could read: “Ensured seamless restaurant operations, coordinating parties of up to 50 people and facilitating communication with management, chefs and waitstaff. Supervised host and hostess trainees and motivated team to deliver the highest level of guest satisfaction.” In your cover letter and interview, you can go into more detail about specific concerns guests raised and how you resolved them, and what you learned about human resources from training other staff members. Make use of professional connections. A strong recommendation from someone who can vouch for your skills and potential may go as far as directly applicable experience during your job hunt. Plus, you’ll learn about more job openings, and have a better shot at an interview once you apply, if you know someone at the company you’re trying to break in to. First, identify five to 10 companies you’d love to work for. They can be in the field you studied in school or not, as long as you have a really compelling reason for why you’d be a great fit there. Once your LinkedIn profile is up to date, go to “Connections > Find Alumni” in the top bar on LinkedIn and you’ll get a list of alumni from the schools you’ve gone to. If your dream job is to work in human resources at Deloitte, filter the results by alumni who work there now and scroll through to find an alum with a position you’d love to have someday. Request to connect with the alum, and in your message ask if he or she would be willing to chat with you about career paths. Ideally, you’d have a LinkedIn connection or two in common, which you can mention in your message. But since you went to the same college, you’re much more likely to get a response than if you tried to connect with someone at the company with whom you have little in common. Schedule a phone call or coffee meeting, using the tips I wrote about last week. Repeat for each company you’re interested in working at. Your new connections can suggest online classes to take, industry networking events to attend and colleagues who might be looking for an intern. They might have been just like you once, frustrated and trying to figure out how to break in. They did it, somehow, and so can you. Next week, a money question that’s on the minds of lots of grads: What’s the Best Way to Pay Off My Student Loans? Sign up for NerdWallet Grad’s weekly newsletter to get student loan and money advice delivered right to your inbox.